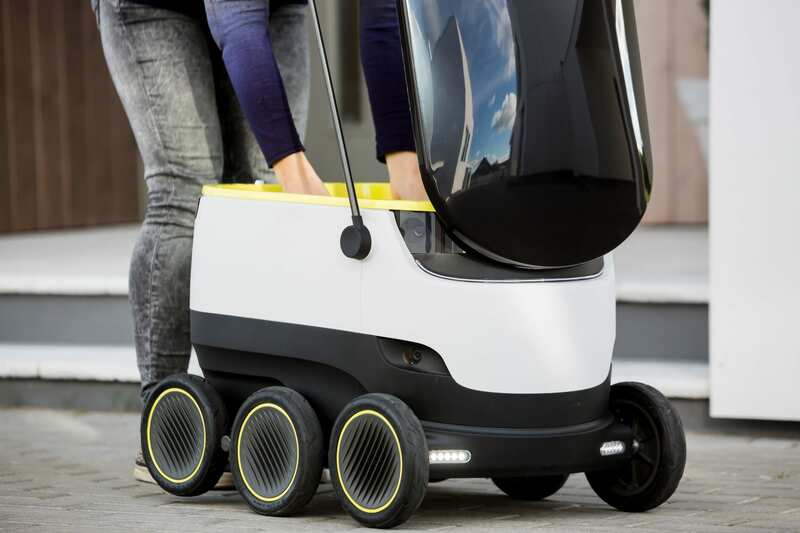 Self-driving robots look set to shake up the delivery business, worth a massive US$4 billion globally. 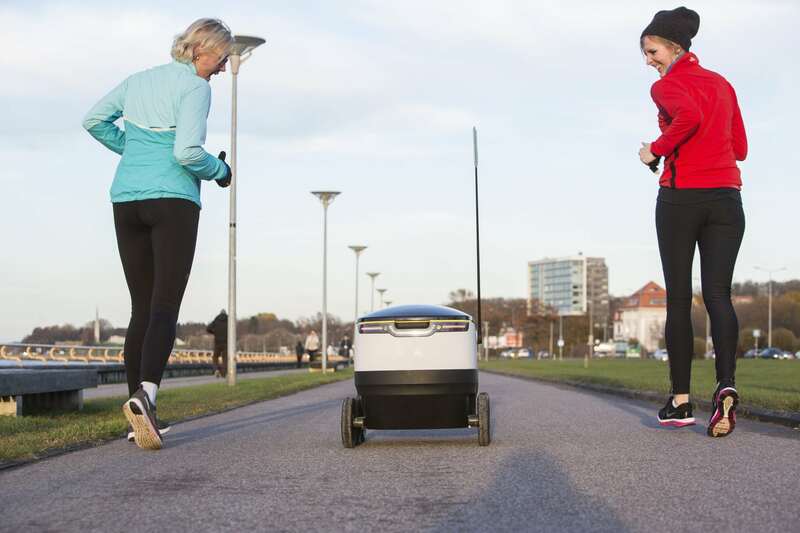 And it’s Skype who came up with the land-based bots which deliver up to 40lbs (about two shopping bags) locally within 30 minutes. Showcased for the first time in Helsinki in November 2015, founder of Starship Technologies Ahti Heinla describes the company’s grand plans as based on the three zeroes, “zero cost, zero waiting time and zero environmental impact,” and wants to do to local deliveries “what Skype did to telecommunications.” Though Google and Amazon have both attempted to launch aerial home delivery systems, the Starship robots, which are unlockable only with a personalised app, will be entirely earthbound, meaning there are not the same safety or privacy dangers as with aerial drones. The march to automation has begun and a recent study finds that 47% of US jobs might be at risk within the next two decades due to advances in computers, automation and artificial intelligence. Yet there is a glimmer of hope for the humble human. The same research concludes that computerisation is likely only to affect ‘low-skilled’ workers, meaning the rise of the machine could actually level-out existing inequalities in a highly polarised job market. The ‘lousy or lovely’ job – highly paid and skilled or badly paid and unskilled – may well be relegated to the past, with humans utilising their problem solving and creative skills, rather than their ability to work manually. We won’t have to wait long to find out, as these little bots could soon be travelling alongside us in the street. The company is launching its first pilot in London areas and the US in 2016 and the official fleet set to be rolled-out in 2017. Tags: Artificial Intelligence, Consumerism, Drones, Economy, Employment, Robotics.